Thank you all so much for your "Little Lights" vocal submissions! We were overwhelmed by the response and look forward to working them into the final recording. 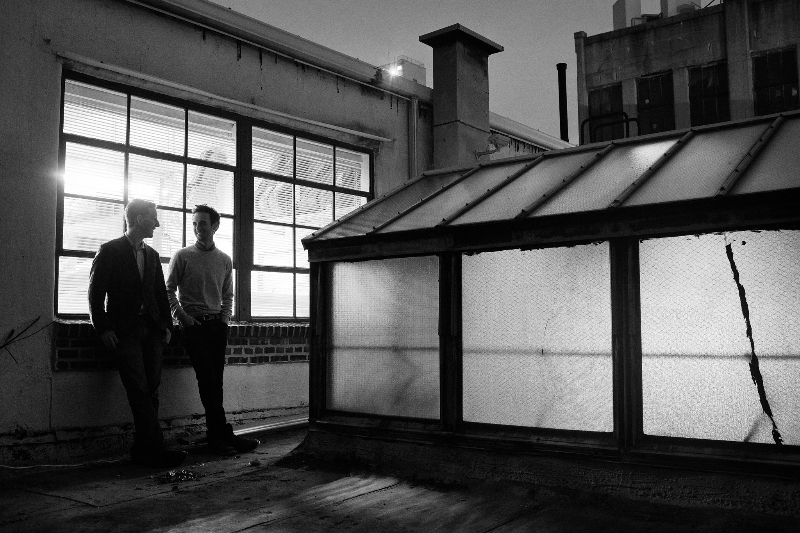 Critter and Julian Lage are releasing their first full-length record together, Avalon, on October 7th. The album, produced and recorded by Kenneth Pattengale of The Milk Carton Kids, is comprised of 11 tracks - a mix of originals and covers - recorded live this past April at the Avalon in Easton, MD. You can preview "Steady Proof" via The Bluegrass Situation here. Pre-orders start September 23rd at LageEldridge.com but we'd suggest heading there now for more details on the album and all of their upcoming tour dates in the coming months. 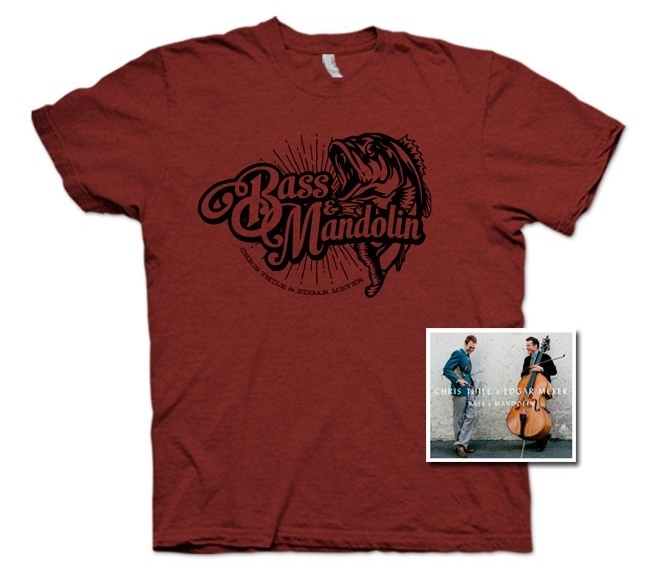 Chris Thile and Edgar Meyer's new album, Bass & Mandolin, was released this week. For a preview, here's a live video of the duo performing "Why Only One?" in Telluride (courtesy of The Bluegrass Situation and Mason Jar Music). Their tour starts next week and will take them across the US well into October. You can find all the tour dates and pick up the album (and a handsome tee) at ThileMeyer.com. Following the tour with Edgar, Thile will head to Europe for a duo tour with Brad Mehldau. Those dates are all listed on the tour page. Noam and Aoife O'Donovan are teaming up for a tour this November with Barry Bales and Shad Cobb rounding out their band. 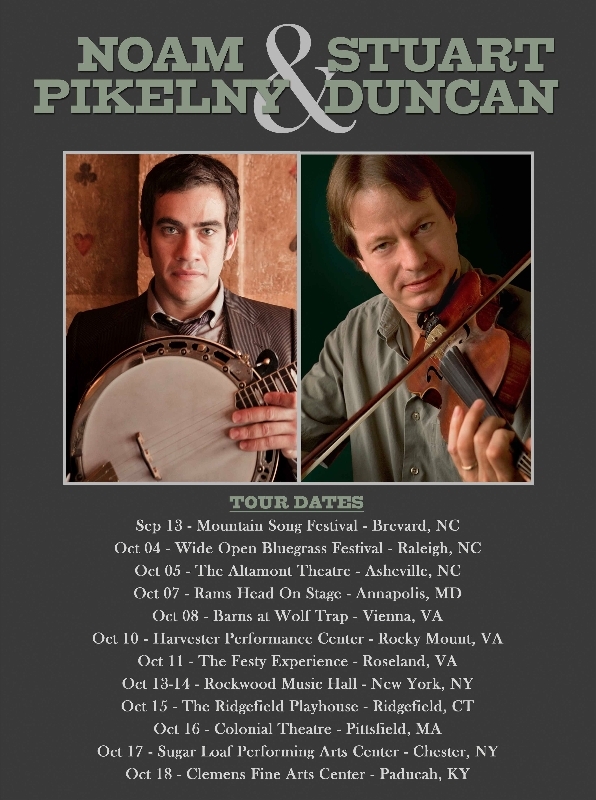 They'll be making the rounds of the Southwest and Midwest but for those of you on the East Coast, don't forget Noam's tour with Stuart Duncan coming up in October. Visit Noam.net/tour for all the details. Paul's trio, Haas Kowert Tice, has a pair of headlining shows next week in Easton, MD and Arlington, VA followed by a set at FreshGrass Festival in North Adams, MA. They also have a date in Wilmington, DE in October with some more dates to be announced soon. If you haven't gotten around to it, check out their album, You Got This. Info at HassKowertTice.com. As you can see, while we're still a ways out from the new Punch Brothers album and touring, there are plenty of chances to see the boys this fall (and a growing number of albums to tide you over as well).